Kroger is giving back to the community — and fundraising for your Louisville Zoo has never been easier! Each year, Kroger provides a way for customers to support local schools, churches and other nonprofit organizations in earning millions of dollars through Kroger Community Rewards. Customers select the charities and causes that matter to them most and Kroger will donate, based on dollars they spend in stores. So far, the Louisville Zoo has received near $1000 quarterly from this program all due to YOUR participation! All you have to do is go online and enroll your Kroger Plus card in Kroger Community Rewards. 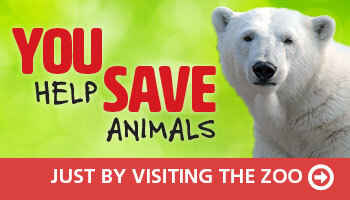 Designate the Louisville Zoo as your choice to receive the Kroger contributions. Then, every time you use your Kroger Plus card — you raise money for your Zoo. It’s that simple! Be sure to have your Kroger Plus card handy and register your card with the Louisville Zoo after you sign up. If you do not have a Kroger Plus card, please stop by the customer service desk at any Kroger store. Do you use your phone number at the register? Call 800-576-4377 and select option 4 to get your Kroger Plus card number. If this is your first time, input information about your Kroger Plus Card. (If you don’t have a Kroger Plus Card, pick one up at your local Kroger or create a virtual card in your Kroger online account; you will use your phone number instead of swiping a card at check out). Click on “Enroll Now” under the Kroger Community Rewards Page. Enter “Louisville Zoo,” select organization from list and click “Enroll” confirm. Need Additional Support? If you need help enrolling, call 1-800-KROGERS, Select option 3 for assistance. 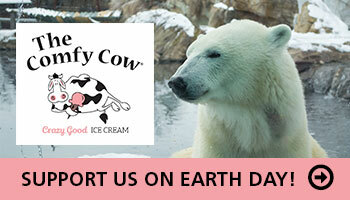 REMEMBER, purchases will not count for the Louisville Zoo until after you register your card. Members must swipe their registered Kroger Plus card or use the phone number that is related to their registered Kroger Plus card when shopping for each purchase to count. Only one charity is eligible per Kroger Plus card. Enrollment lasts one year, after which you will receive an email from Kroger reminding you to support your Zoo again next year and re-enroll.